Some labels from the LJC collection and visitor contributions not included under the big companies for lack of space. Where I own a copy I try to include run-out etchings, where I don’t, the pictures are mostly Discogs uploads retouched/rescaled. 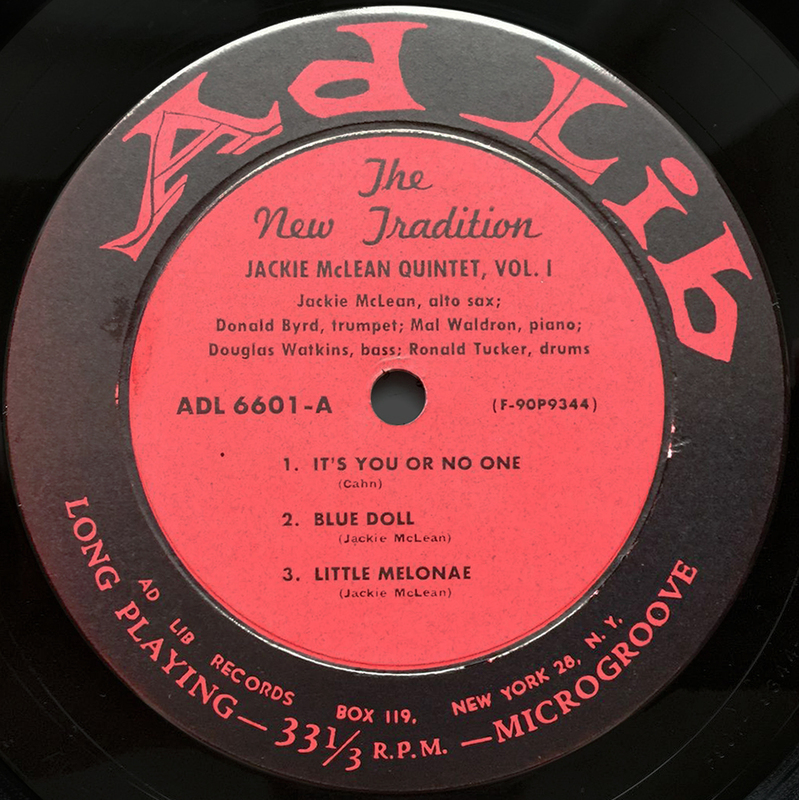 Jackie McLean’s holy grail, The New Tradition, on Ad Lib. 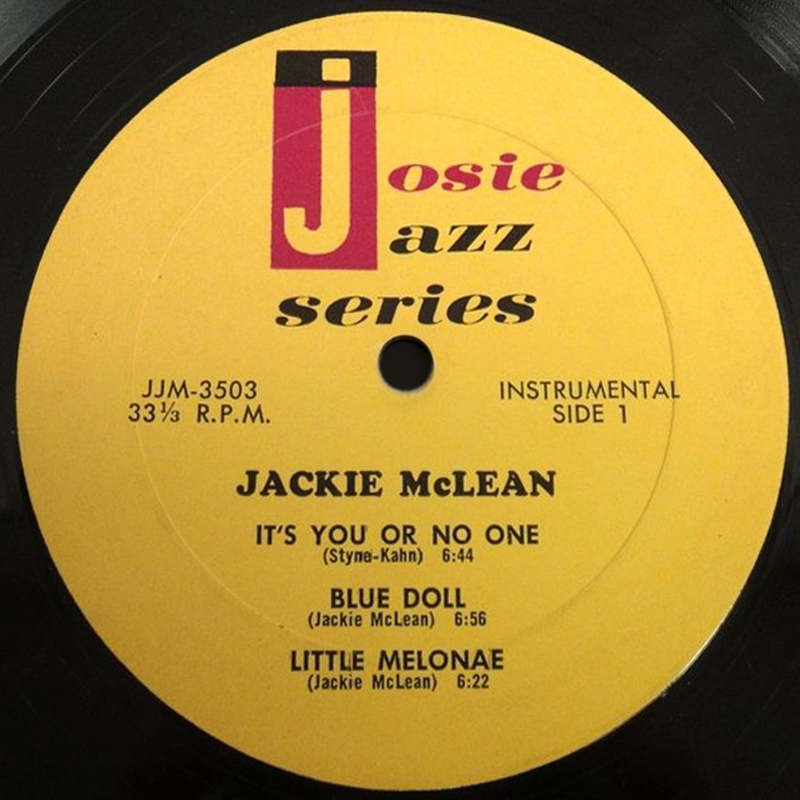 1980’s West Coast based re-issue label, a lot of jazz and not uncommon to find Blue Note reissues in its catalogue. The quality however is generally mediocre at best and not a recommended alternative. Included for completeness. 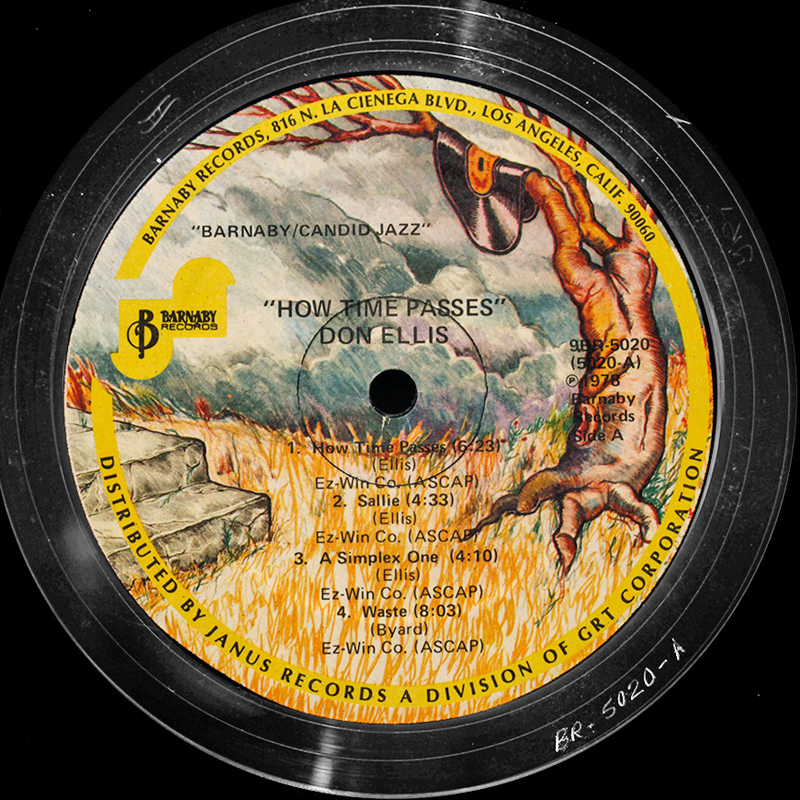 A short-lived jazz record label active during 1977 with a catalogue of only 14 titles. 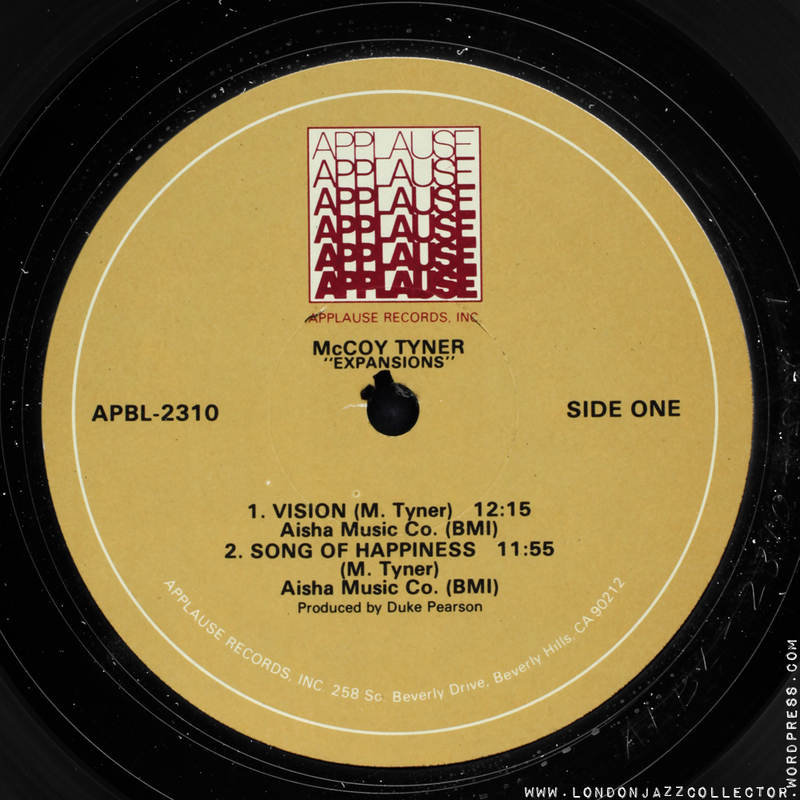 Founded by John Snyder, Artists House gave their artists complete control and ownership of the master tapes, which meant (with the exception of Ornette Coleman)they did not go on to be reissued. Relatively unknown US label notable for several Zoot Sims titles in the Fifties. 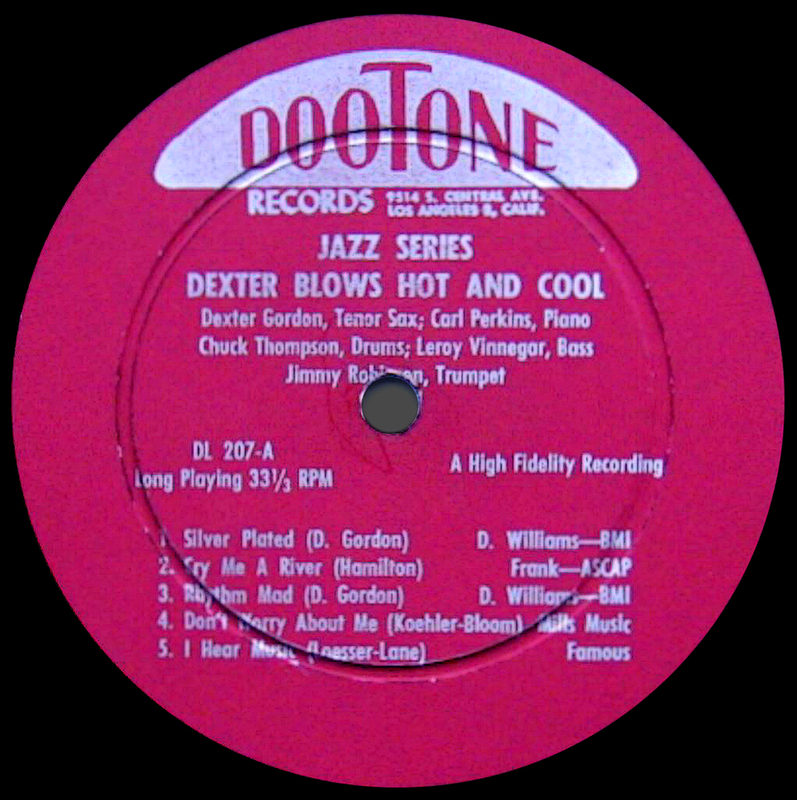 Famous for its red vinyl edition of Dexter Gordon “Dexter Blows Hot and Cool”, with the greatest ever “smoking” cover. 70’s US jazz releases, including under license from other labels, notably Japanese label Eastwind. Early enough to not yet fallen prey to digital processing, sound is reasonable, better than many of the majors of the same period, though not stellar. 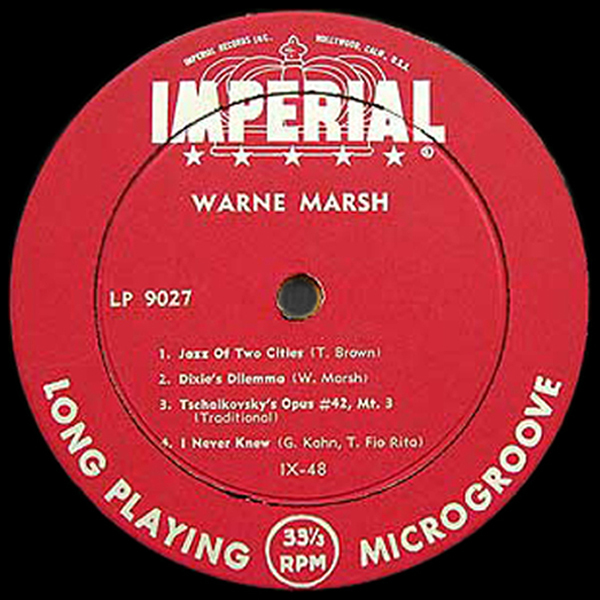 Fred Norsworthy’s Jazztime label, based in Malton, Ontario, Canada, launched in 1961. 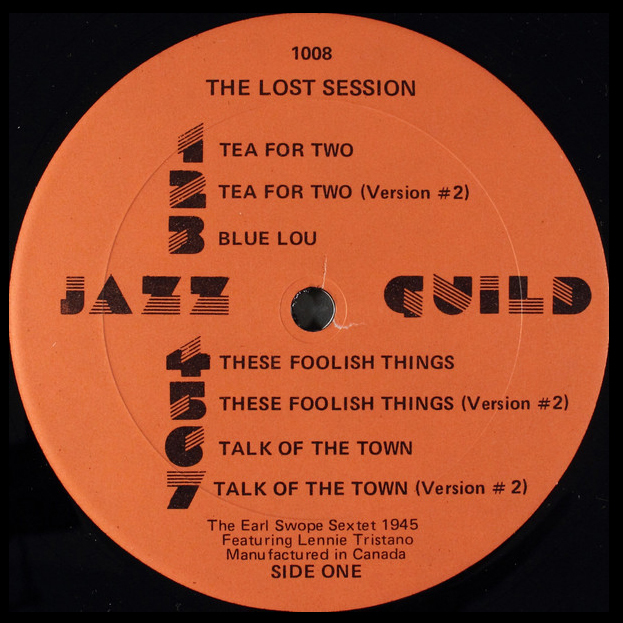 At some later point the name was cThe first three issues of Fred Norsworthy’s Jazztime label (based in Malton, Ontario, Canada) were announced in the September 28, 1961 issue of Down Beat (p. 34). 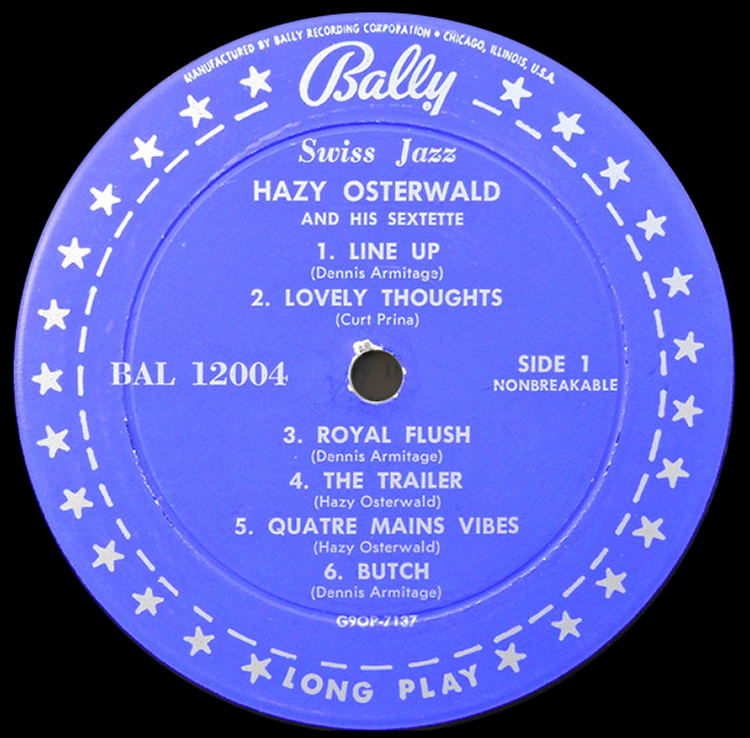 At some later point the name was changed to Jazzline.The recordings (including unissued material) later appeared under many different names and titles on Polydor, Fontana, Onyx, Muse, and Black Lion Records. 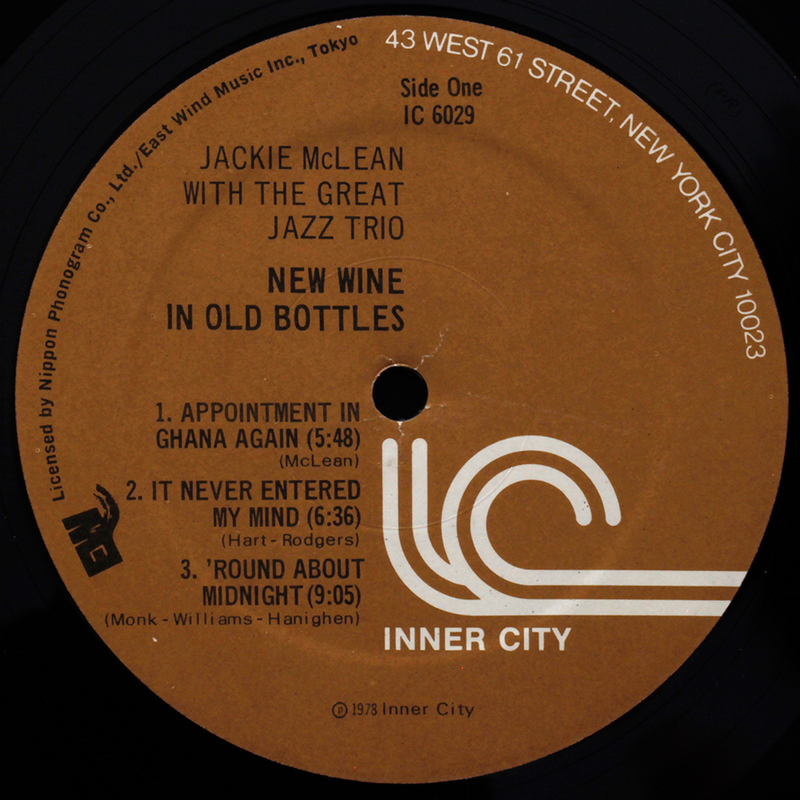 Small jazz label based in Michigan, founded by Chuck Nessa in 1967. A catalogue of “avant garde”/ Art Ensemble of Chicago genre. Still functioning to day, largely CD format. Saturn appears to be headquartered not in Outer Space, but Philadelphia. Savoy – red label – collectors sometimes refer to it as the “blood red label”. to distinguish it from the “maroon” or “oxblood” later label (one below) ’50s and ’60s and generally should be deep groove. Savoy – oxblood label, some called the “maroon”. Generally these are ’70s issues without deep groove. 80’s label of Dr Bob Sunenblick MD specialising in reissue of rare jazz recordings and commissioning new recordings by artists from the golden age – recorded and mastered in many cases by the Master of Sound himself, Rudy Van Gelder, at Englewood Cliffs. Still operating today, in CD format. Gorgeous sound quality where modern recording source. Bell Sound pressing for this Chicago-based label. Sounds surprisingly good considering its time – mid 70’s provenance. 136 gm vinyl. Work in progress. If you have others, send me. Another great label is Time. Great quality pressings, solid gatefold packages. The art is a bit bland, however. Some great early 60s sessions from Booker Little, Kenny Dorham and more. In a word, yes. There are only a few cases where stampers from the original master were sent to Europe for pressing, rather than the usual copy tape. I have seen RVG on Italian Impulse pressings, and of course on European Prestige issues by Esquire, Artone, Musica Depositato, and Barclay. Your ears are in for a treat, as it guarantees no loss in RVG quality, unlike the usual remastering from copy tape by someone who may not know what its supposed to sound like. Any elaboration on the Savoy labels? Usually the Oxbloods are listed as 70s represses, but I do’t think that’s completely accurate. I’ve got an oxblood copy of Wilbur Harden’s Mainstream 58. It’s a DG with hand etched matrix numbers and both the vinyl and cover are period correct for an early record, but at the same time it’s not a red label and there’s not RVG in the dead wax. Any thoughts? Smokin’ good record though. 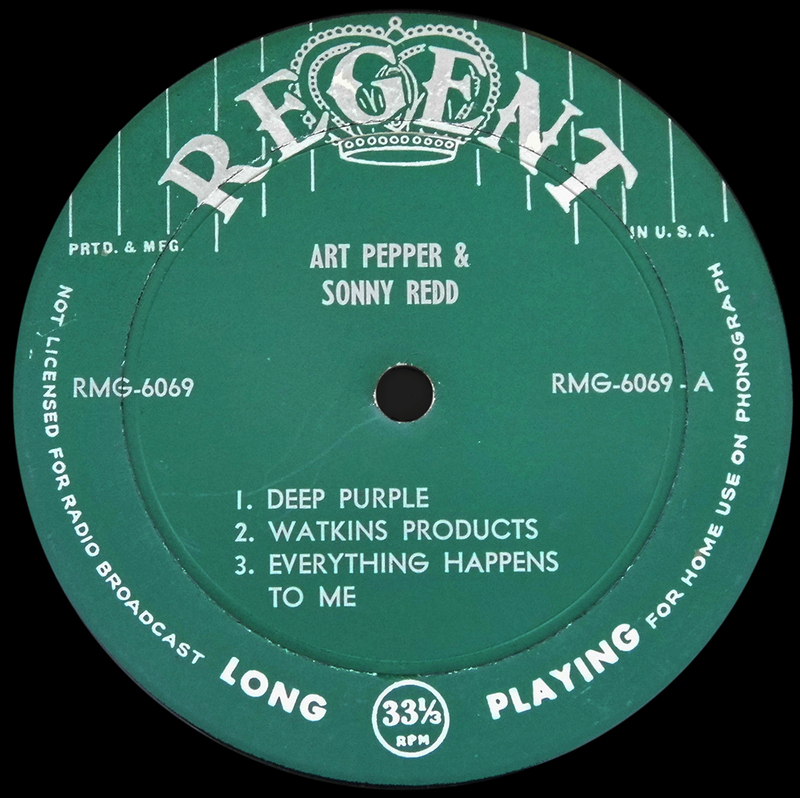 The bright red blood label is the ’50s and ’60s label, generally deep groove, I’ve seen samples which are stamped as promos. Likewise the oxblood /”maroon” is associated with ’70s reissues and new issues. Oxblood are generally not deep groove, can’t say none for sure, but those dies had disappeared on the mid ’60s. 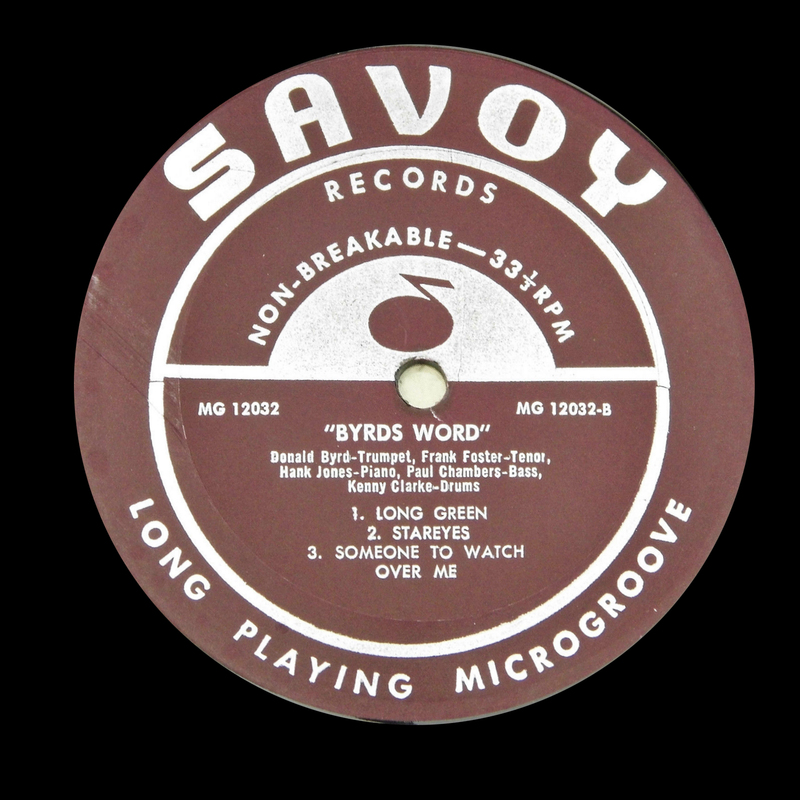 Some Savoy recordings had their first release on oxblood, in the mid ’70s, so the description “original” can be correct. Not all oxbloods are reissues. The oxblood is fairly clearly not deep groove, the blood red is. Sometimes from the poor quality photos online its not easy to tell if a copy is DG, and too many copies are described as “original” that are second issue, so there is a lot of confusion about these two coloured labels, and Savoy didn’t help anyone with printing date of manufacture. Yet another I just came across: DOT. It is a popular music label which did some jazz. Look for the tightly knit Don Bagley trio with pianiste extraordinaire Jimmy Rowles, the Hank Jones of the West Coast, and Shelley Manne. Excellent sound by Val Valentine, 1957. Artists House: actually there have been two issues. the first one bearing AH1, AH2, AH3 and on. the second bearing the suffix 94: AH9401, 9402, 9403 and on. 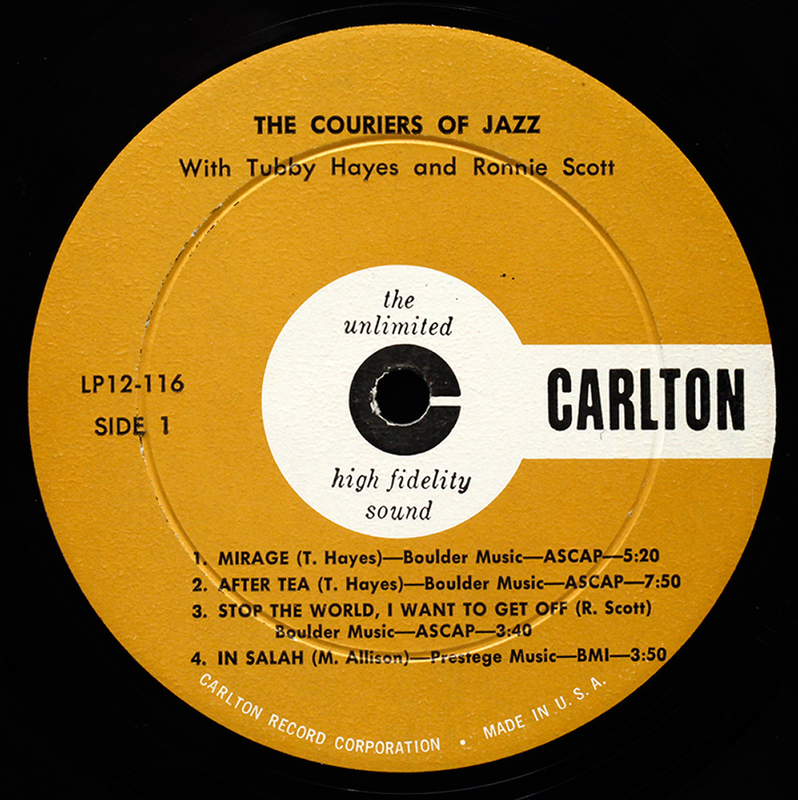 Carlton produced scads of pop records but only four jazz lps: STLP 12/113 Tony Scott and Jimmy Knepper: Free Blown Jazz; STLP 12/115: Name Band 1959–Bob Florence (a second version of this album was issued as by a “Mystery Band”); ; STLP 12/116 The Couriers of Jazz–Tubby Hayes and Ronnie Scott; and STLP 12/135 New Sound of College Jazz–Chuck Speas & American Jazz Septet. 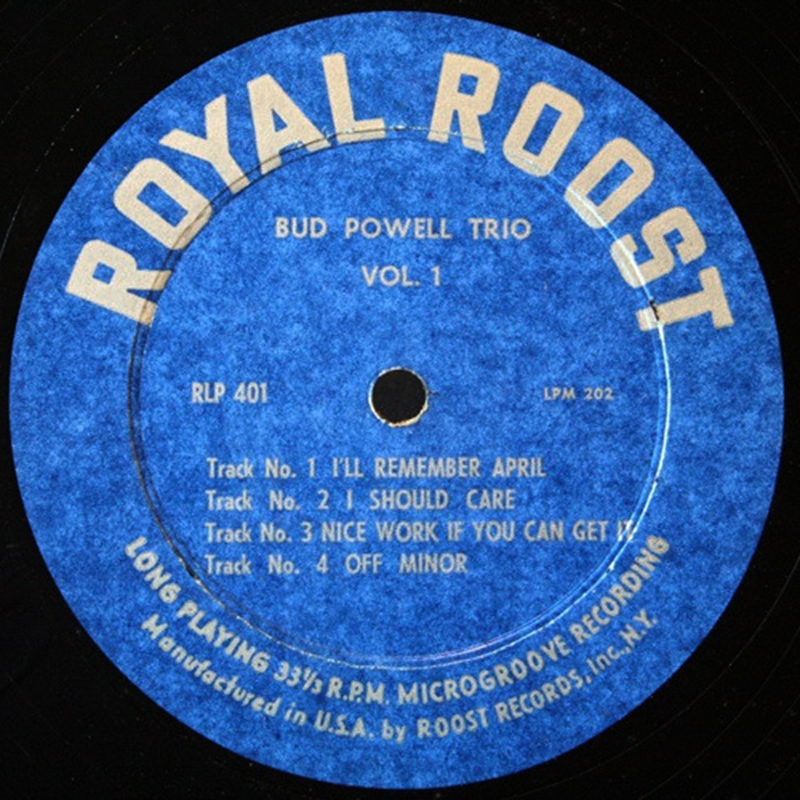 12/115 was reissued as STLP 12/139 retitled Swinging Band–Bob Florence). The sound on Carlton is exceptional. 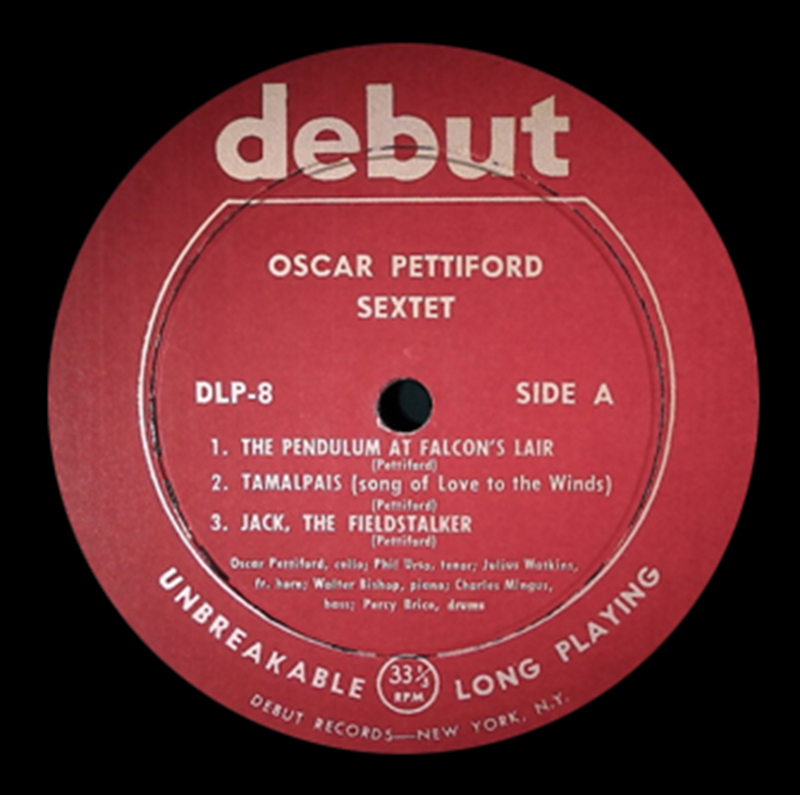 The Oscar Pettiford Sextet was issued on Debut DLP-8 in both 10-inch and 12-inch versions. I have the 12. Before Counterpoint, there were two Vox 78 book albums reissued on 10-inch Esoteric LPs: ESJ-2 Jazz Off the Air Vol. 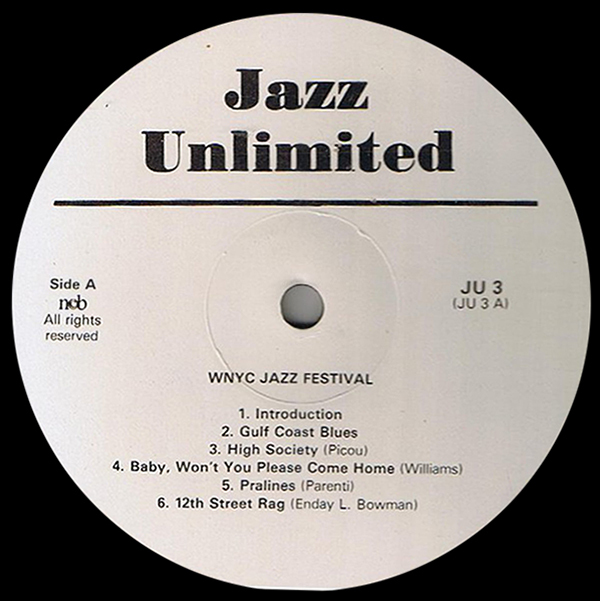 1, ESJ-3 Jazz Off the Air Vol. 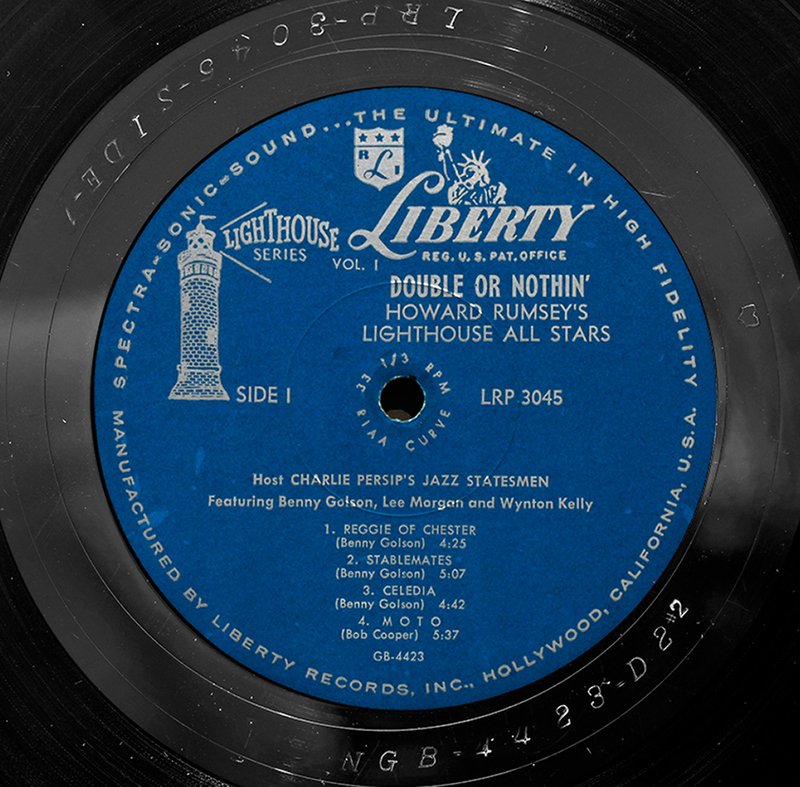 2, preceded by ESJ-1 Charlie Christian: Swing to Bop. Esoteric purchased the 78 masters from Vox in 1951. The two JOTA albums were later reissued on Spotlite 12-inch LPs. 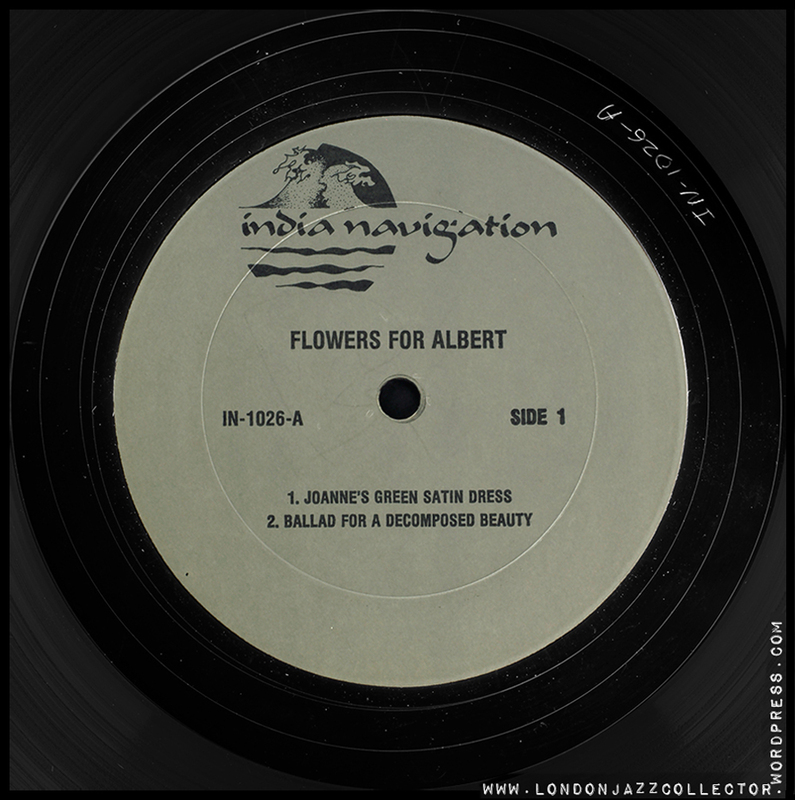 Also issued on Esoteric in 1954 was a 13-track Trio album by Al Haig, later reissued on (Jap.) 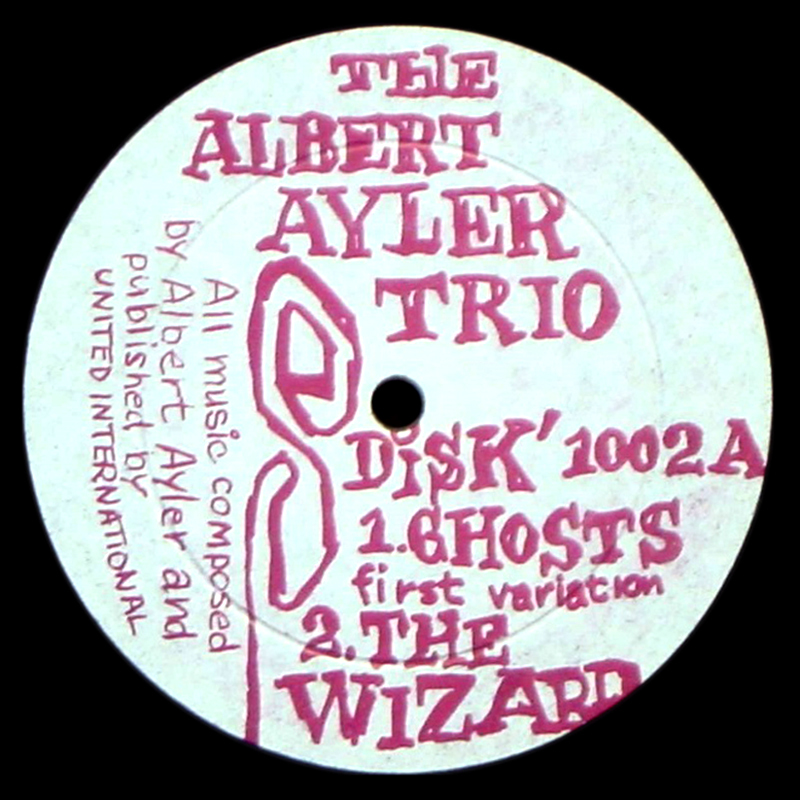 Esoteric, and Everest FS 293 in 1974 as “Jazz Will-O’-the-Wisp.” A Quartet album was issued on Period 1104. Esoteric and Counterpoint were co-owned by recording engineer, Jerry Newman, and Bill Fox. 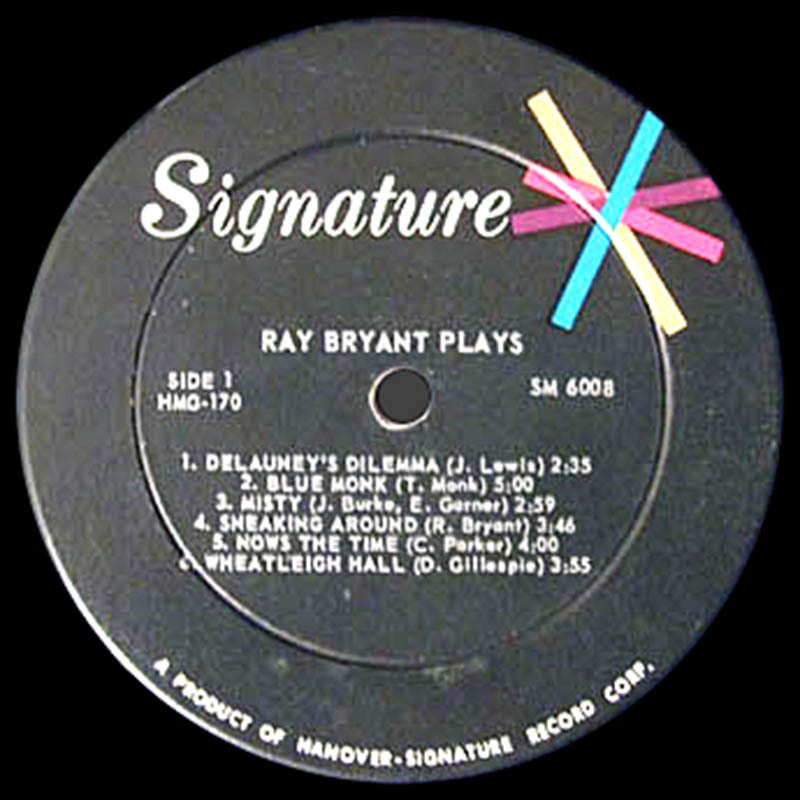 The Counterpoint albums were recorded by Newman on a portable Wilcox-Gay Recordio Disc Cutter at Monroe’s Uptown House and Minton’s Playhouse (May 8, May 12, and June/July 1941). In 1952, Newman signed a contract with Vogue allowing them to issue Esoteric jazz records in France. On March 13, 1954, Newman recorded the Henri Renaud-Al Cohn Quartet album issued in France on 10-inch Swing M. 33.322. In 1954, Esoteric employed writer Seymour Krim, future author of “Shake It for the World, Smartass,” as a clerk. Fox later took over Esoteric while Newman established Stereo Sound Studios. In 1957, Esoteric became Counterpoint (source: Recording Pioneers). Vibist Jay Hoggard recorded his first album in 1978 for India Navigation (1040), which I have. Hoggard is reportedly related to a well-known New York City political figure (name escapes me). 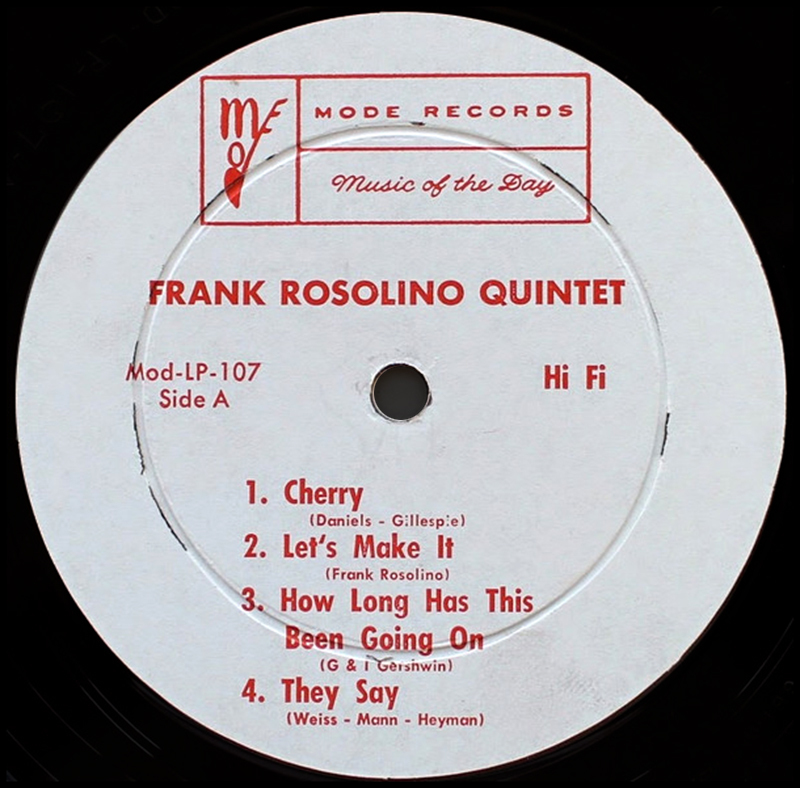 A brand-new copy of the Frank Rosolino album on Mode (label shown here) was offered to me for $150.00. I declined because that is far more than I have ever paid for any Mode album. Mode LPs are excellent products! 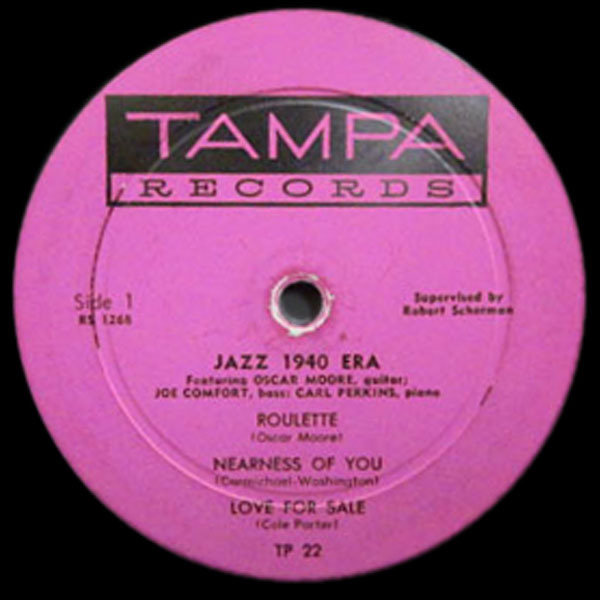 Roulette Records. 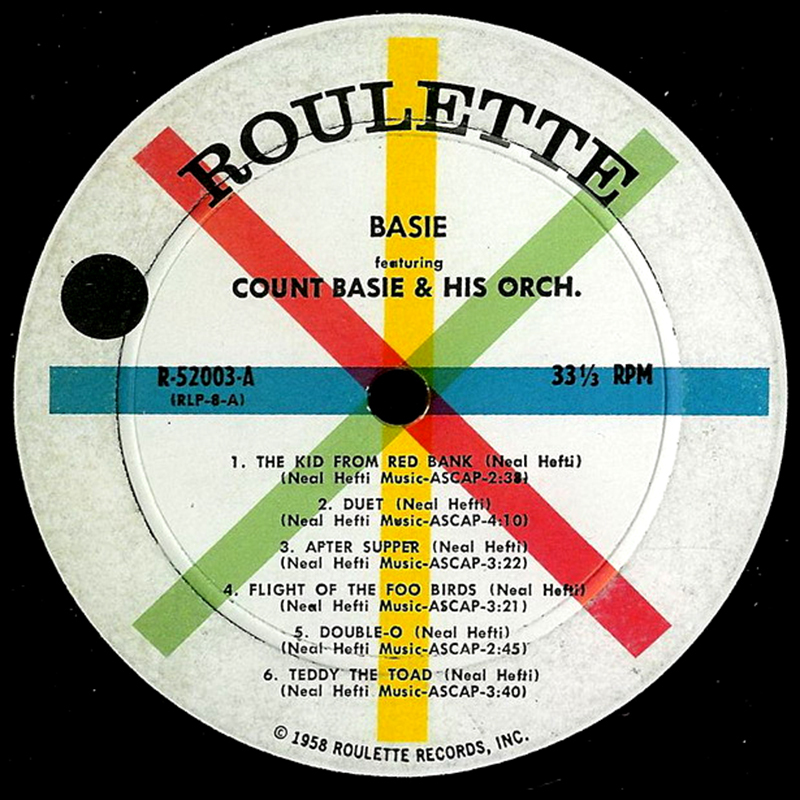 I was told by Birdland’s Oscar Goodstein that (Roulette owner) Morris Levy’s two favorite artists were Count Basie and Dinah Washington. 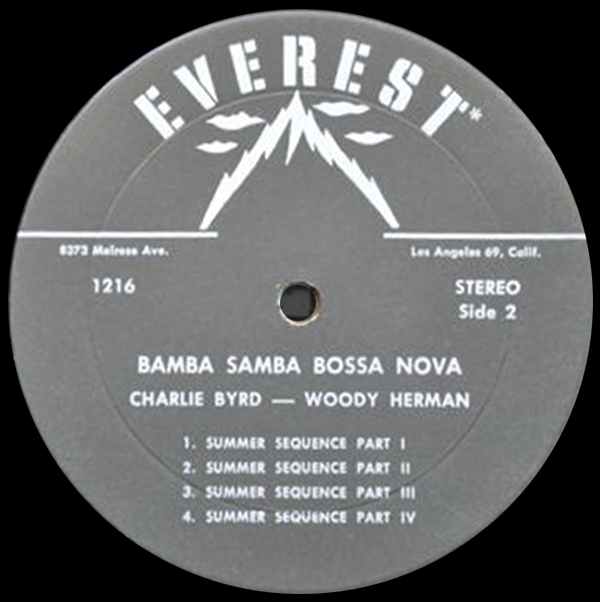 The Score label was owned by Aladdin Records and launched in 1957 as a budget label selling for $1.98. 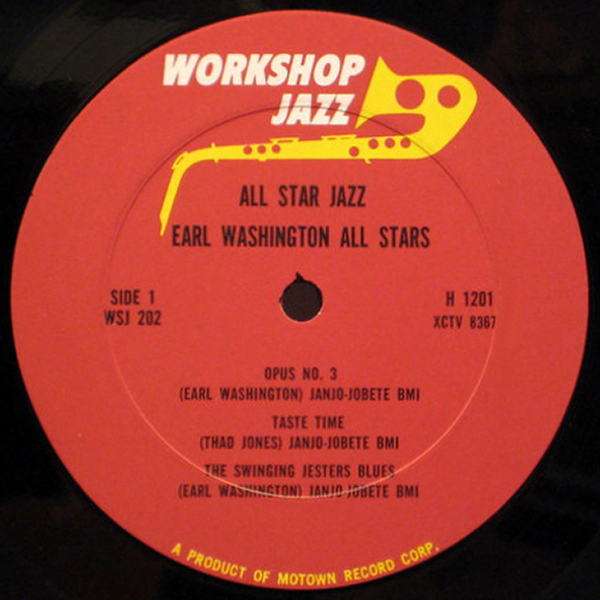 Albums on Intro and Jazz: West were discontinued and then reissued on Score. 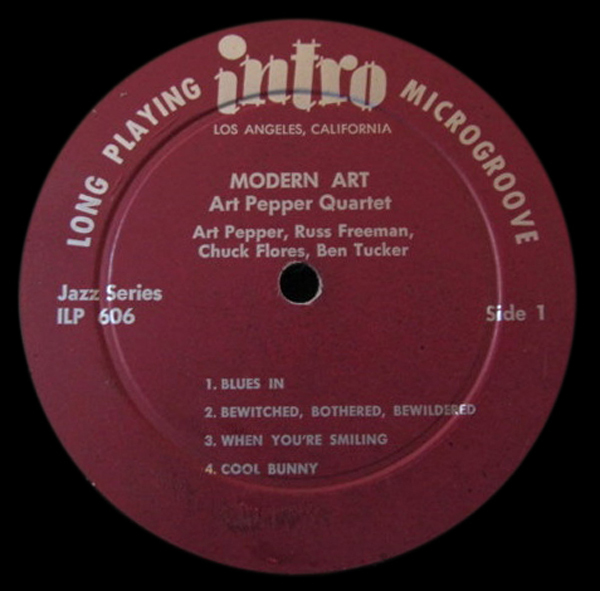 Originally issued on Intro, Art Pepper’s “Modern Art” was issued on Score SLP 4030. 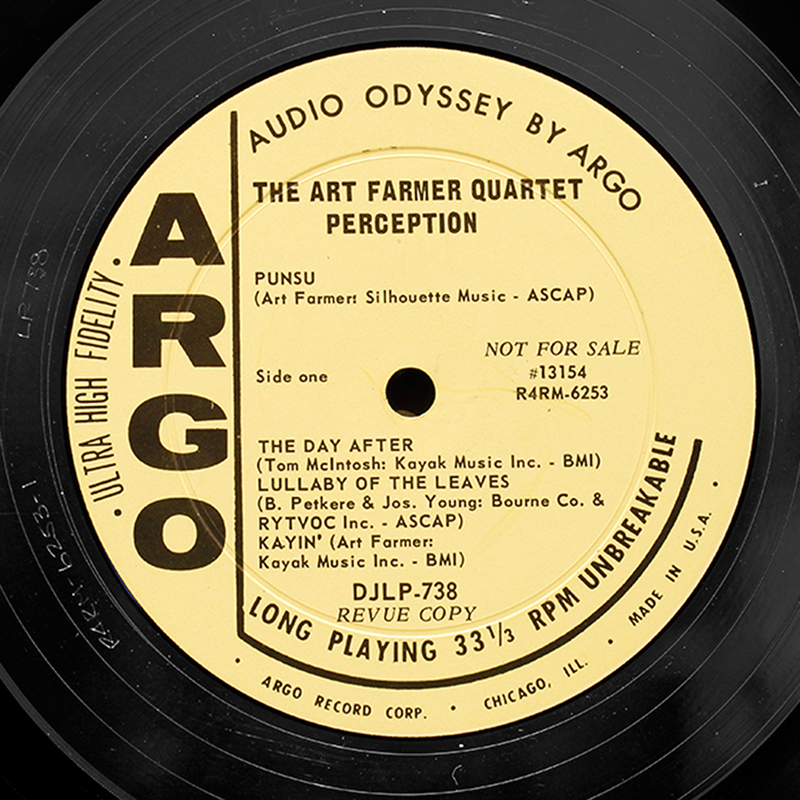 Jazz: West’s JWLP 10 “Return of Art Pepper” was issued on Score SLP 4032. 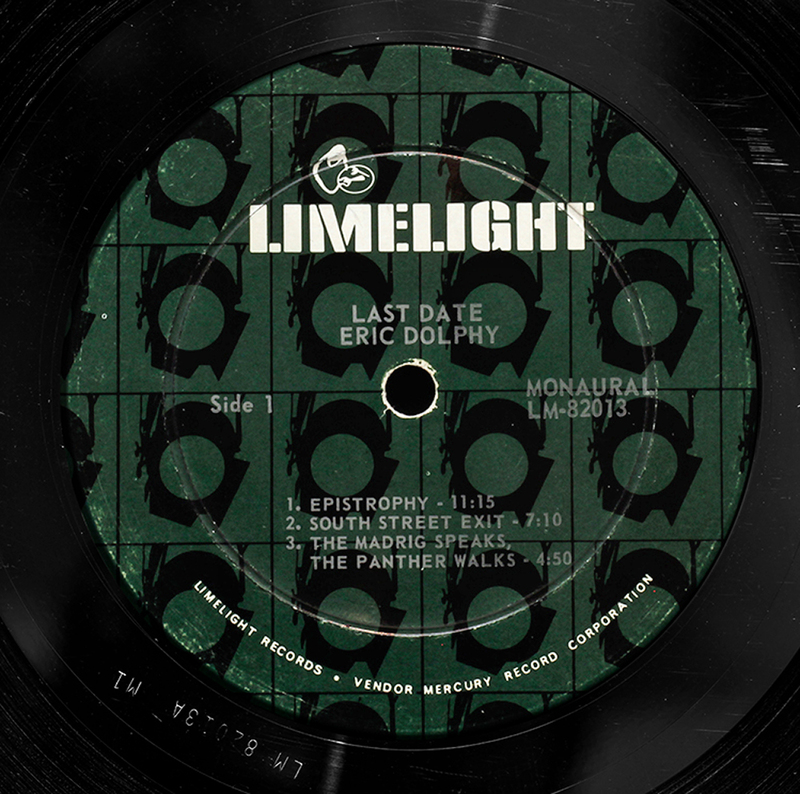 JWLP 10 may have been the last Jazz: West album. Per the label shown of the Paul Chambers album on Score, “Joe Jones” is listed as drummer, rather than “Philly” Joe Jones. Luis Pastor “Val” Valentin was the sound engineer for the Tampa label. 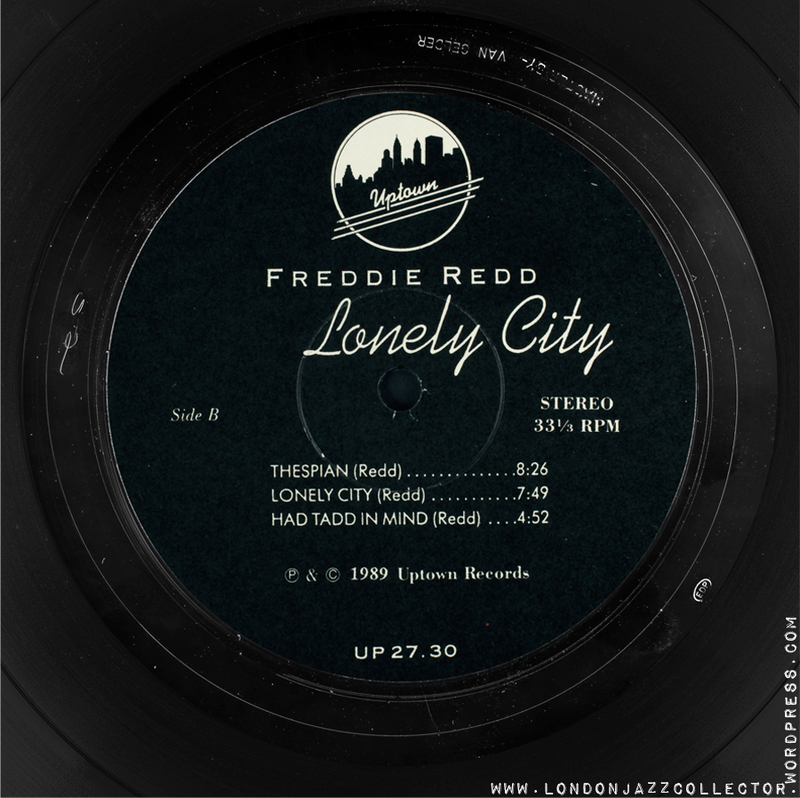 In the quality of his work over the decades for different labels, he is considered second only to Rudy Van Gelder. 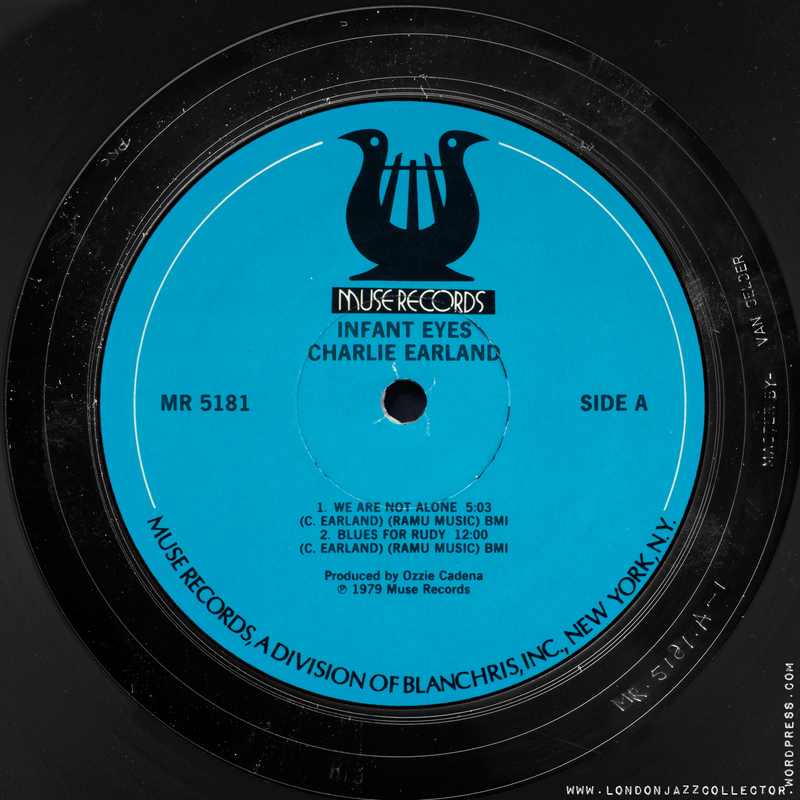 Speaking of Esoteric, do you know which is the original pressing of the 10″ ESJ-1 Charlie Christian: Swing to Bop? I’ve seen some with black printing on the front, some with blue printing and the edge text on the back with different orientations. 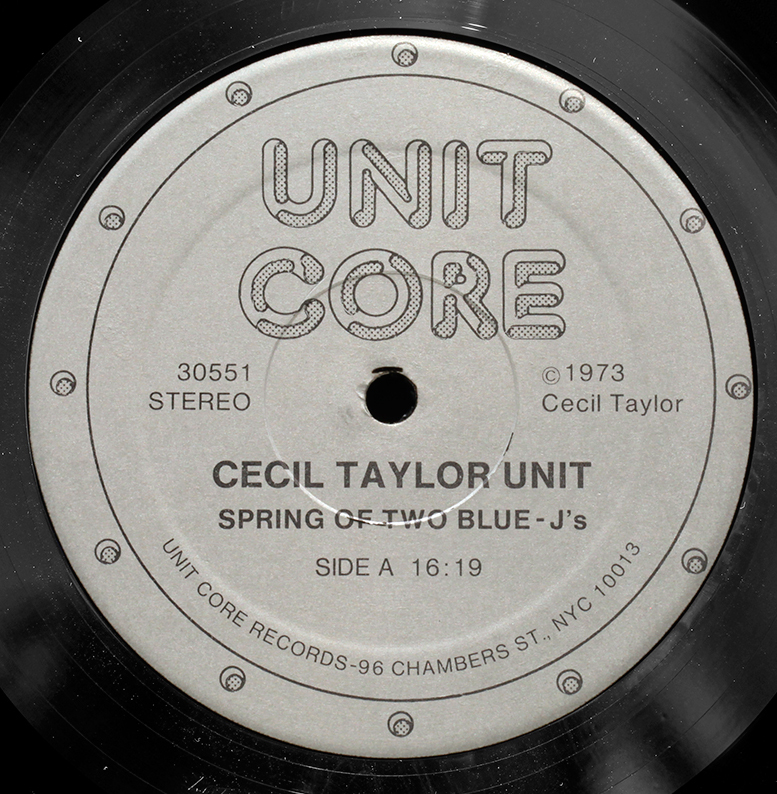 Creed Taylor’s CTI label. You mentioned him in your Impulse label guide, but I was surprised not to see more considering how big a role he played in modern jazz. 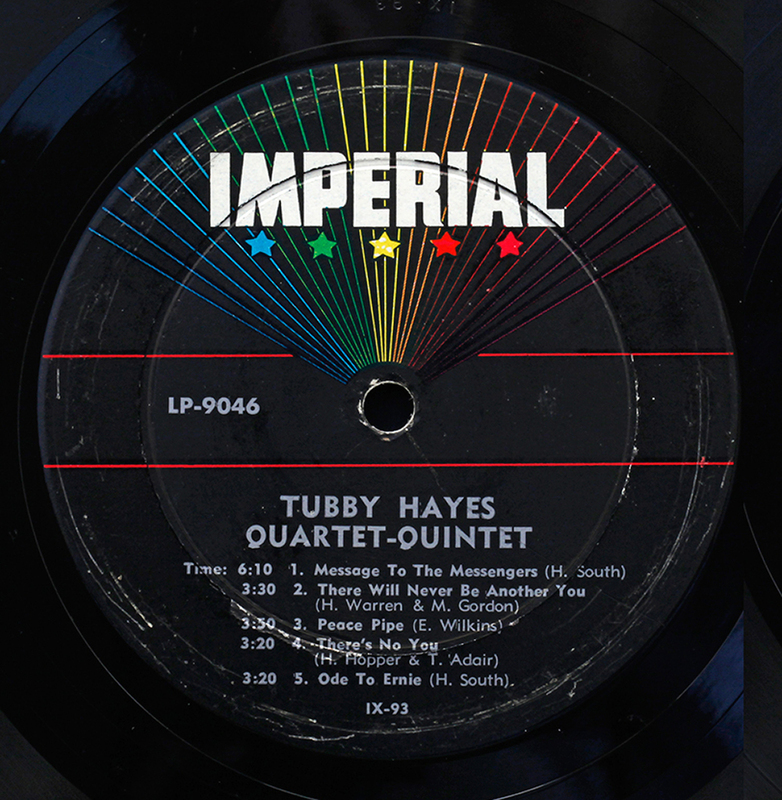 I love his attention to detail in the production of the releases from the in house backing artists like Herbie Hancock and Ron Carter to his choice of Rudy Van Gelder as the recording engineer, photographer Pete Turner for the cover art to the beautiful gatefold covers he first initiated with Impulse. 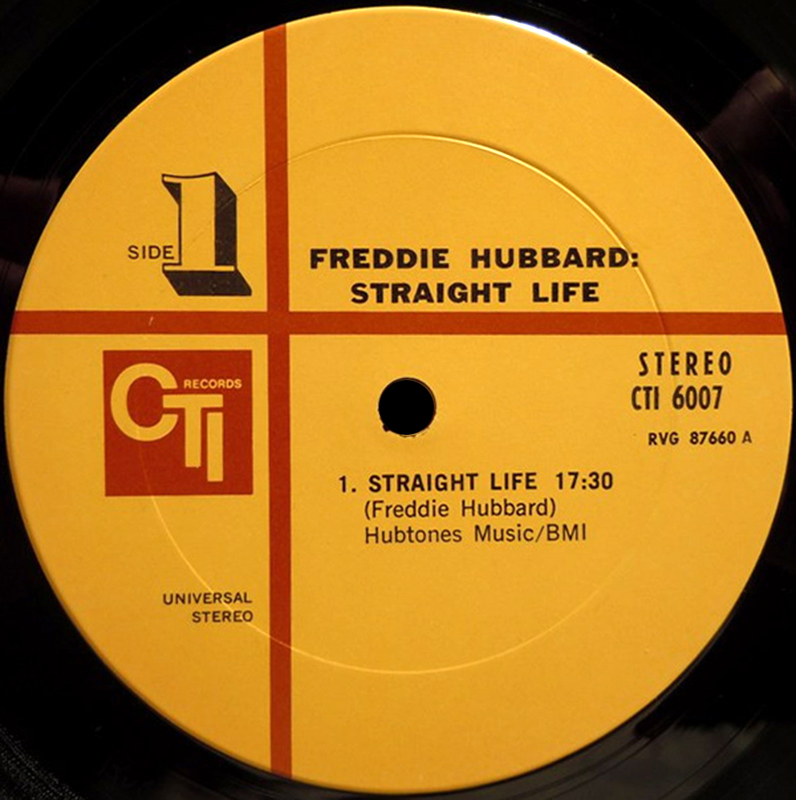 We’re talking Freddie Hubbard, Stanley Turrentine, Milt Jackson, Jerry Mulligan, Nina Simone, Art Farmer, Paul Desmond, Herbie Hancock, Ron Carter to name some of the artist who recorded for CTI. 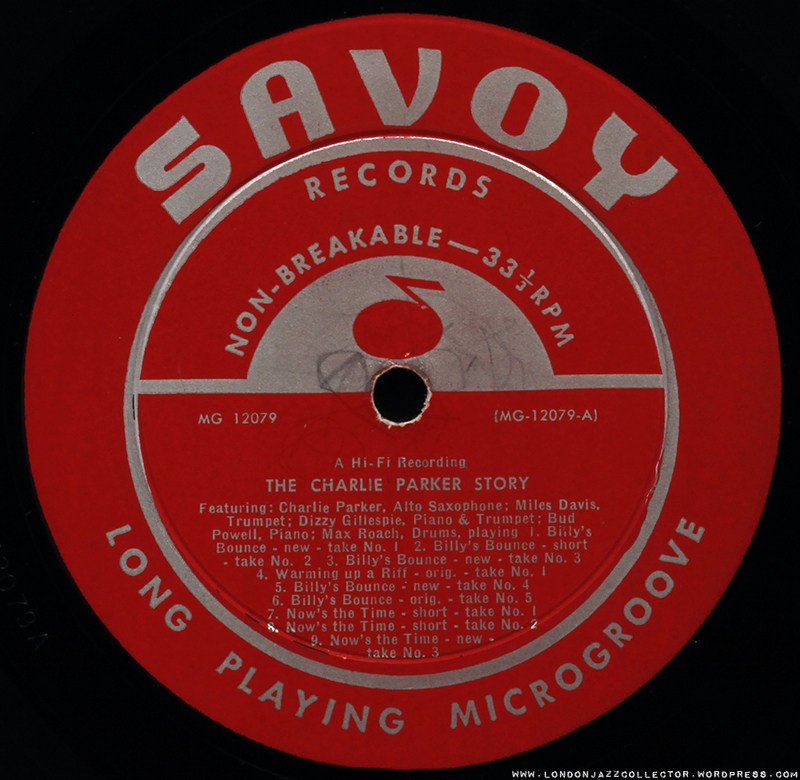 -George Ween’s Storyville label. This is the guy who started the Newport Jazz Festival and was a decent piano player in his own right, often playing with many of the artist featured on the recordings. some of the featured artist were Toshiko Akiyoshi, Ellis Larkin, Lee Konitz, Lee Wiley, and Joe Newman. Vanguard Jazz Showcase. I believe all of these were produced and released under the direction of John Hammond. 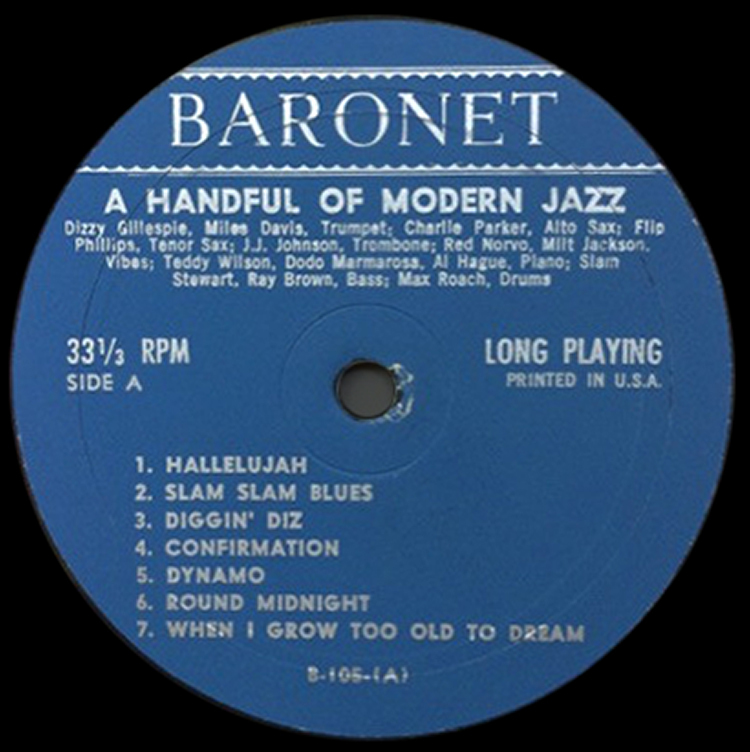 A lot of great swing and bop artists were featured here including Coleman Hawkins, Count Basie, Sir Charles Thompson, Vic Dickinson, Freddie Green, Ruby Braff and Pappa Jo Jones among others. Many of the early releases feature beautiful covers drawn by Charles White. Mode Records. 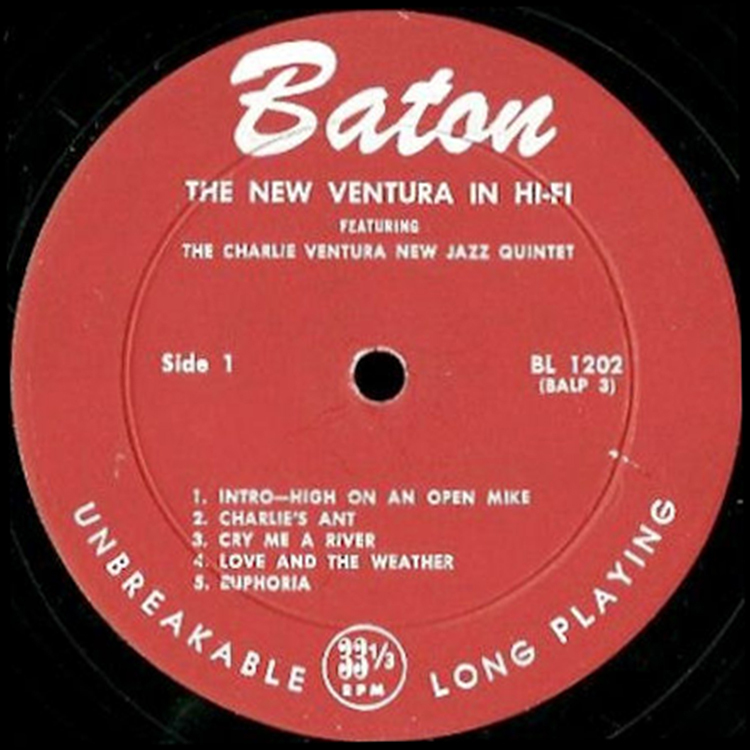 This was a short lived label based in Hollywood, CA that released a number of West Coast Jazz recordings in the 50’s with the likes of Herbie Mann, Stan Levey, Conte Candoli, and Pepper Adams among others. Most of the covers have beautiful painted covers of the featured artist. Thank you Scott, noted omissions now made good, CTI, Mode, Storyville and Vanguard Jazz. Any more missing US 50s/60s jazz vinyl record labels, shout. Don’t worry. Many of those on my list did not make it to one or two issues maximum and went broke or discontinued almost immediately. It is highly unlikely to spot them once in a lifetime. But there is one obvious omission there: Candid. This can be easily repaired. However I am getting to the other labels fast as I can. First dozen additions up now. Ad Lib, Transition, how could I not have them? Vinylbeat has many more of the labels but the samples there are not Jazz, so I’m disregarding those. If you need help for the other labels, please let me know. 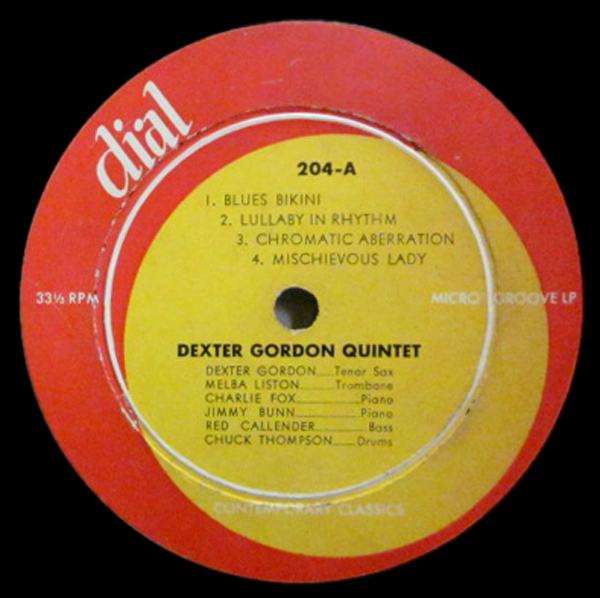 I have a copy of Dexter Gordon’s Doing Allright on Applause and find the sound and pressing to be more than satisfactory! As good as most Japanese reissues. 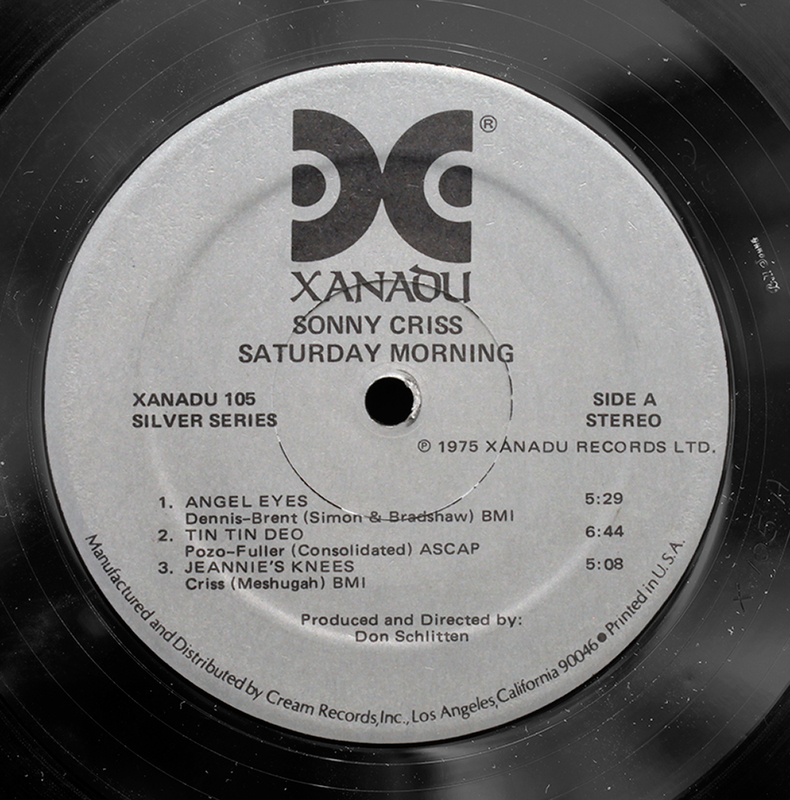 Also, the Xanadu/onyx records of Don Schlitten from the mid 70s are excellent sonically with both new and rerelease offerings. In fact, I was recently researching a spectacular album of Tommy Flannagan a Trio and Sextet…recorded in 1961.. And it appears that this is a re-release of David Bailey’s Impossible to find “Bash” record under another name with in fact an additional track from the session. Good vinyl too! Keep those tips coming! Whilst I occasionally lay out on a big score, in between times we all need more affordable vintage quality. There is great stuff out there, if you know what to look for. I can’t believe it. 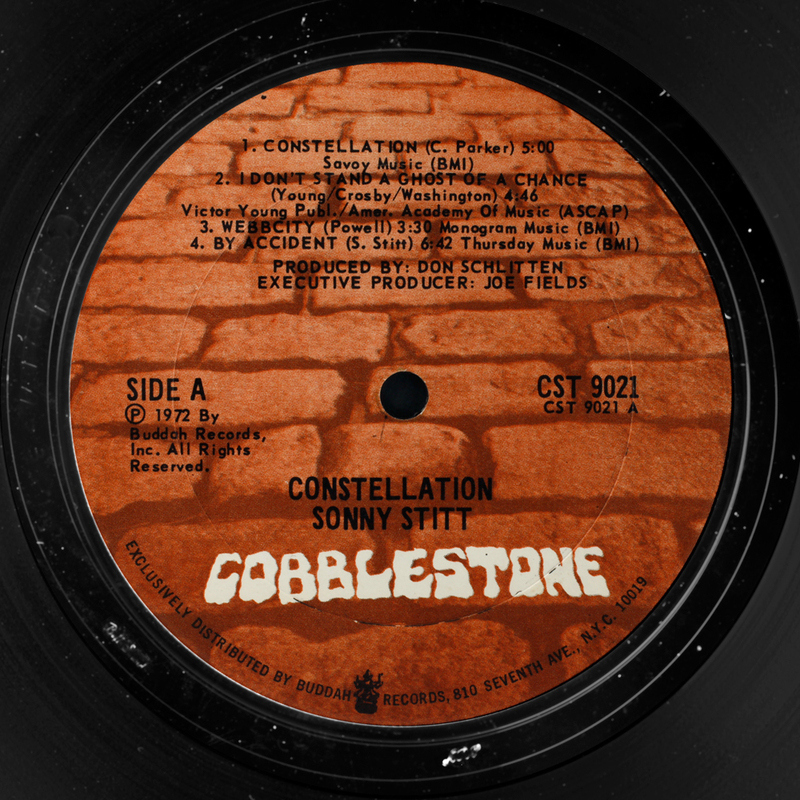 I found the exact “Cobblestone, Sonny Stitt” album in my collection that you have pictured above. I don’t remember when I bought it or what I paid. But it’s near mint and sure sounds nice. Senility does have its advantages. ESP, although sonically below audiophile standards, it remains very important as far as documenting the avant-garde scene in NYC. 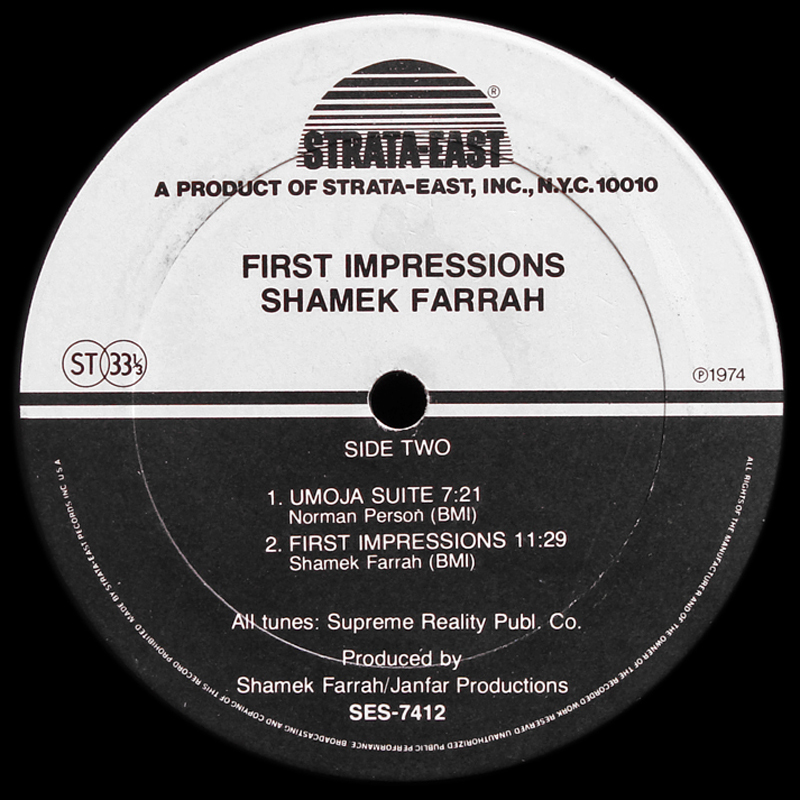 Also Strata East label info would be great, as would India Navigation. 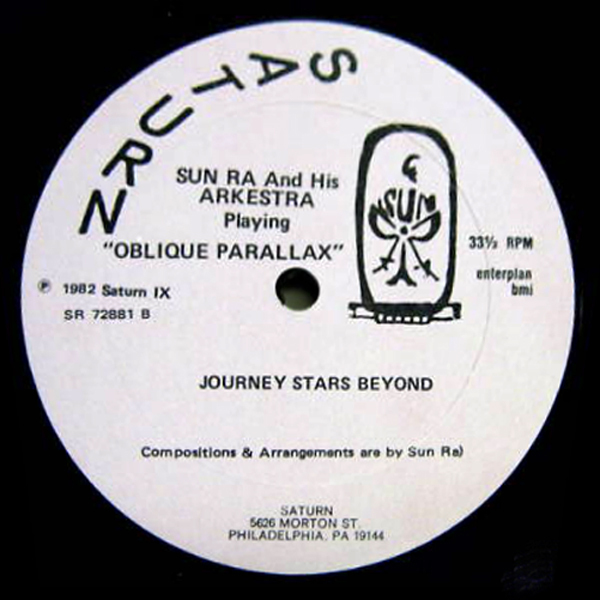 I purchased a copy of Sun Ra Vol. 2 on ESP that had, inside the sleeve, a flier that ESP Disk was promoting the viewing of a comet or something. Not sure if it is original but it is super strange. Perhaps I will send a scan over here if I ever get it on to my own blog. – Argo would change its name to Cadet in 1965 to avoid confusion with the UK Argo label. 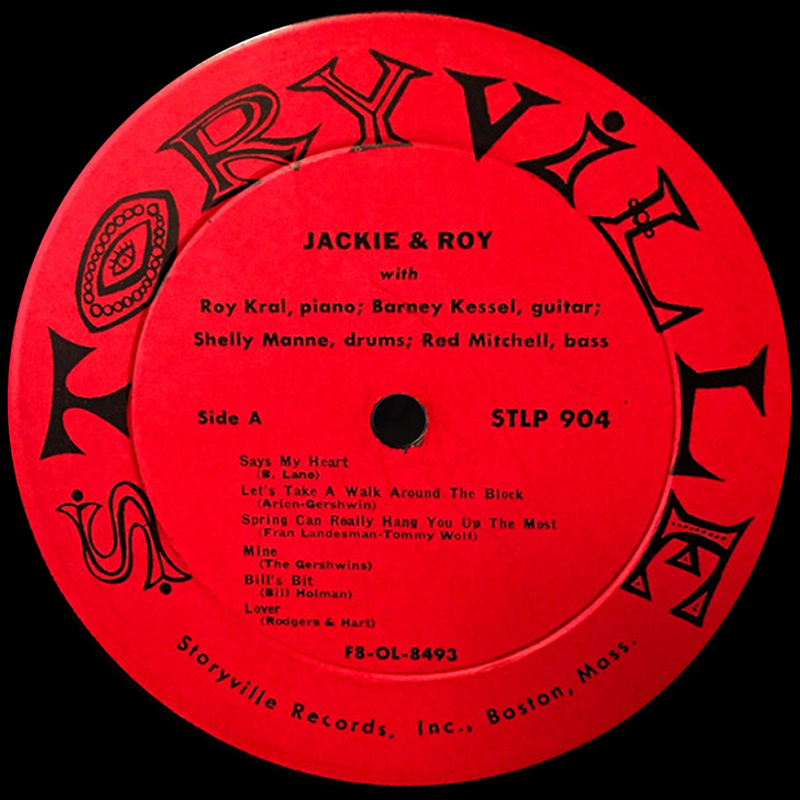 The lacquer mastering on both the mono promo and the stereo were by RCA Victor’s Chicago studios, and RCA also handled the pressing (at their Indianapolis, IN plant). – Barnaby was founded by crooner Andy Williams, initially to administer the master tapes of his old label Cadence (founded by Archie Bleyer in 1952, discontinued 1964), but also recorded new acts including the most famous, Ray Stevens (of “Everything Is Beautiful” and “The Streak” fame). That Mingus LP would have been pressed around late 1971/early 1972, mastered at Columbia’s New York studios; did Mingus at one point in his career record for Cadence? 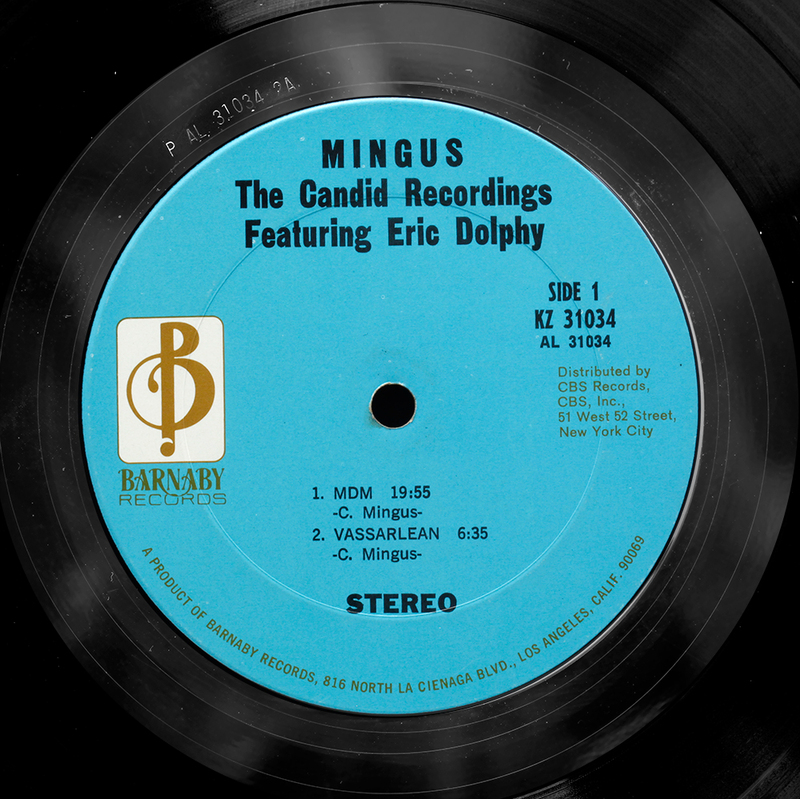 I believe the Barnaby Mingus titles were originally issued by Candid, which was a subsidiary of Cadence Records. 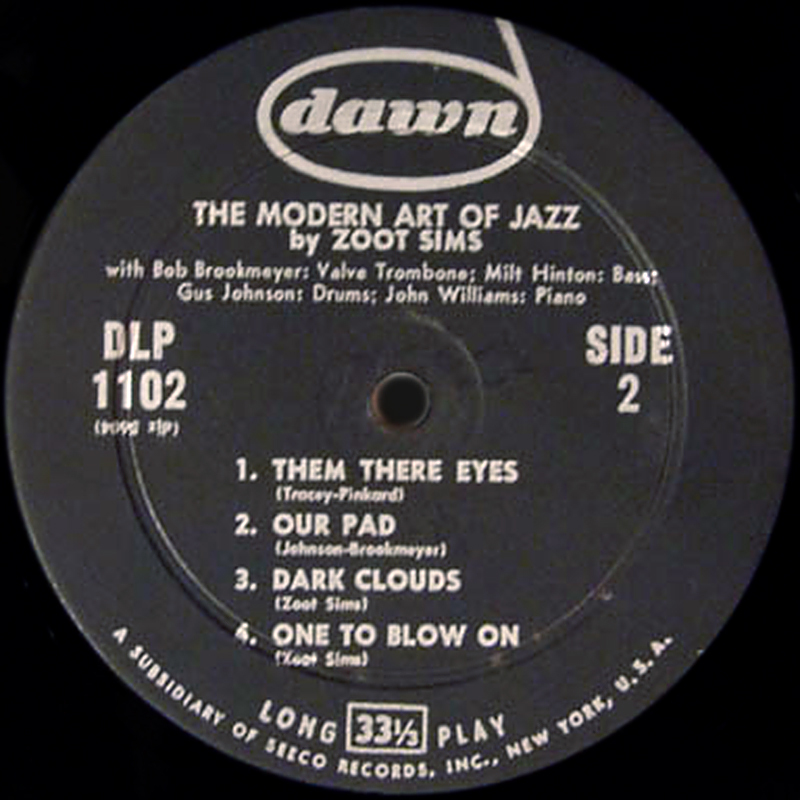 When Williams bought Cadence (minus the Everly Brothers titles, which were purchased by Warner Bros.) from founder-owner Archie Bleyer, the Candid catalogue was part of the package. Not a specific jazz label but some great recordings of Lee Morgan, first Wayne Shorter’s records, MJT+3, Paul Chambers, Wynton Kelly and Eddie Harris. In my opinion, these recordings deserve a little place in this fantastic blog! Hurray for Muse! 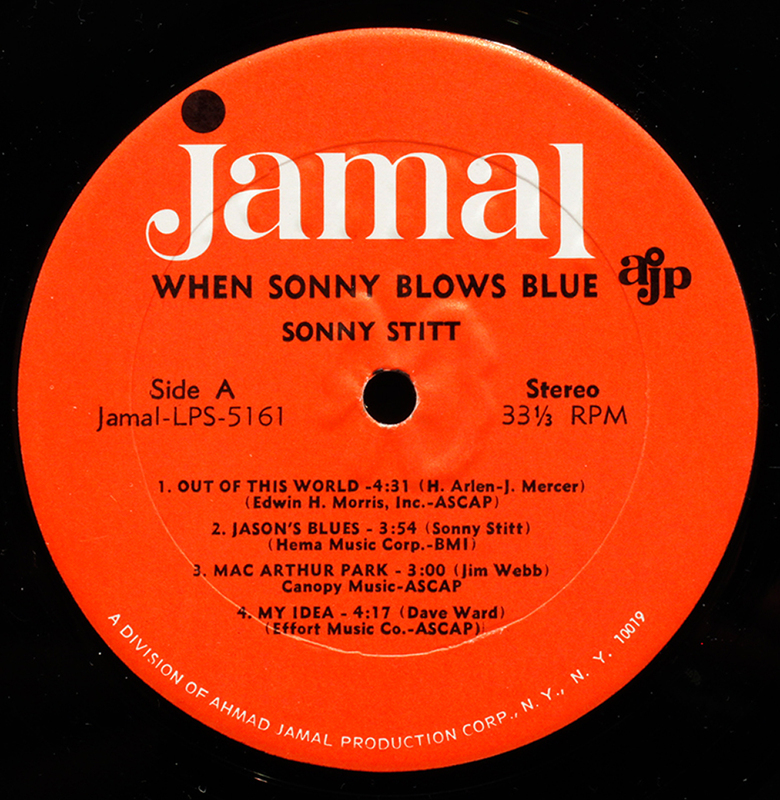 – just listening to Sonny Stitt The Champ, one of two recent outstanding Muse pressings I’ve picked at my LRS. The other, Generations, is credited to Pepper Adams and Frank Foster although it was really James L Dean’s session. Terrible terrible terrible cover, in fact perhaps the worst I’ve seen http://www.recordsale.de/cdpix/p/pepper_adams_frank_foster-generations.jpg but the engineer: one Rudy Van Gelder. They both boast tremendous sound quality IMO and are easily as good quality wise as Contemporary Blue Note etc. I tend to snap these up now when I seem them – cheers LJC! Andy, maybe I just was unlucky but I found my one Muse pressing to be pretty subpar – Pat Martino’s “Footprints.” It’s actually a reissue of “The Visit” I think on the Cobblestone label. Not sure what the original source for the Muse reissue was but it sounds downright murky and almost like the band recorded behind a screen or something. Also had to keep turning up the volume so something going on w/ how it was EQ’d I’m guessing. Glad to hear that album wasn’t representative of the label as a whole but sad that the ‘evil silver disc’ appears to still be the best/only option for that album. 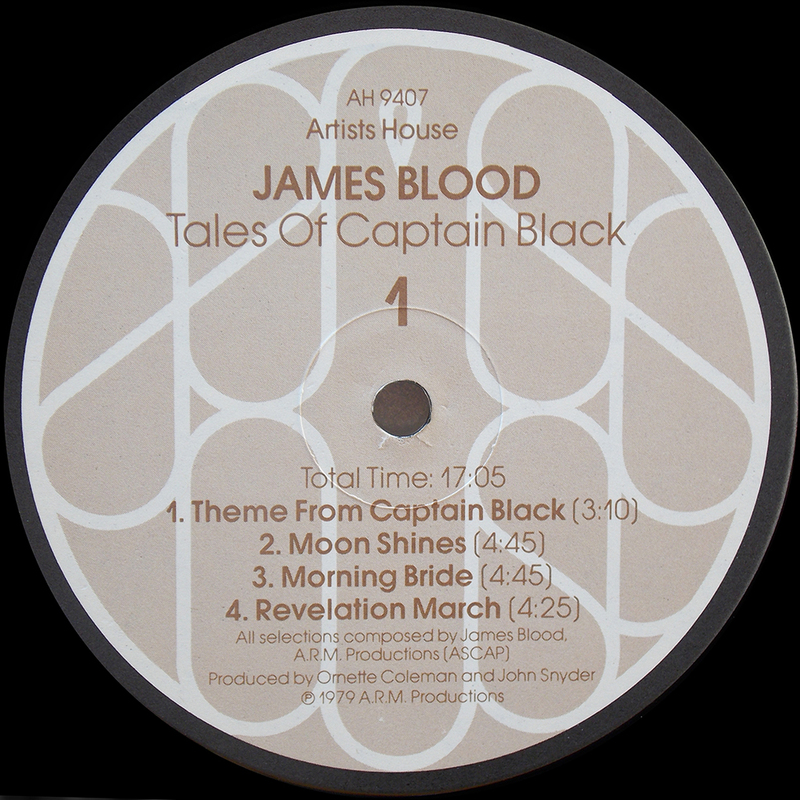 I only have Tales Of Captain Black by James Blood Ulmer with Ornette Coleman. It’s stamped by Van Gelder and sounds lovely – will send a shot later. 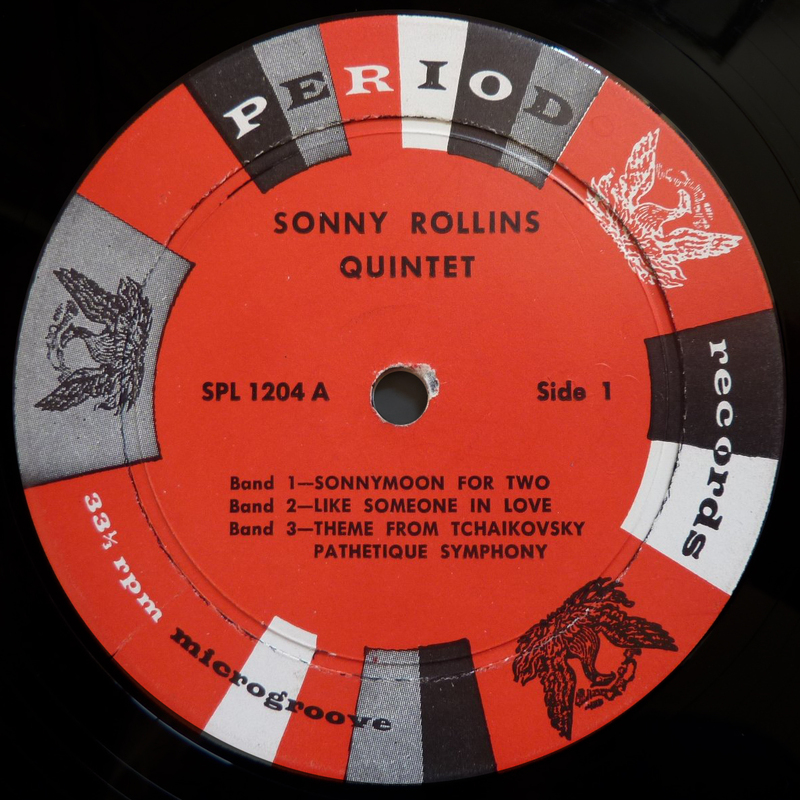 Hey LJC, I just scored “Sonny Rollins and the Big Brass.” It’s a stereo recording, deep groove pressing on the MetroJazz label which I think was owned by MGM and only in existence for a year or so. Have you ever heard of this label before? Bob – you are correct. 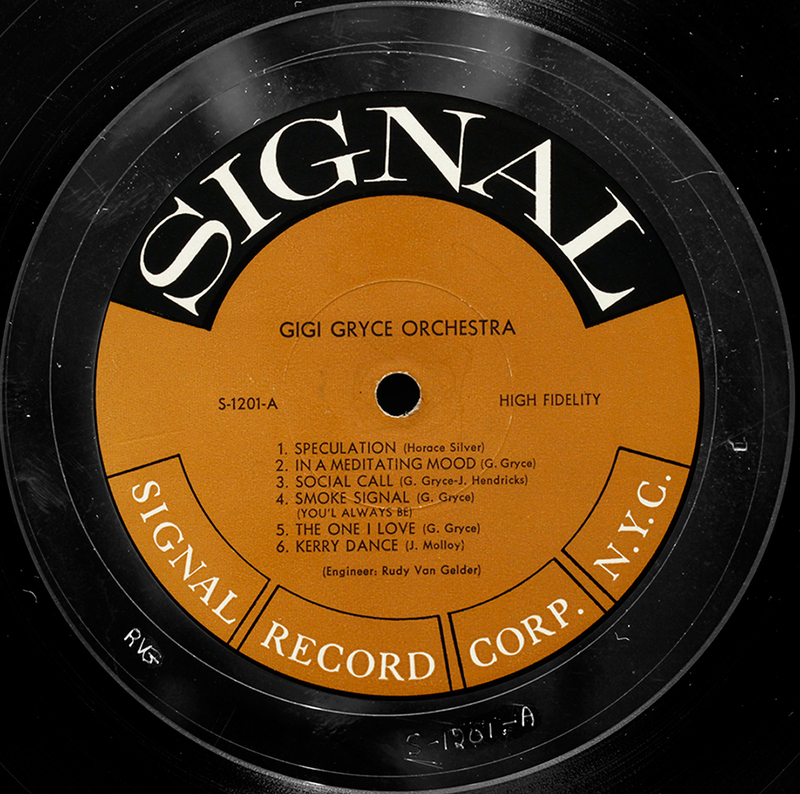 Metrojazz was MGM’s short-lived jazz subsidiary, which released about 15 albums in 1958 or so, the most notable of which were probably Rollins and the Big Brass, the S/T Gigi Gryce album, and Pepper-Knepper (I have a copy of this one; it’s pretty good). MGM purchased Verve in 1961, and re-released the Rollins record, likely because of his stature and popularity at the time. 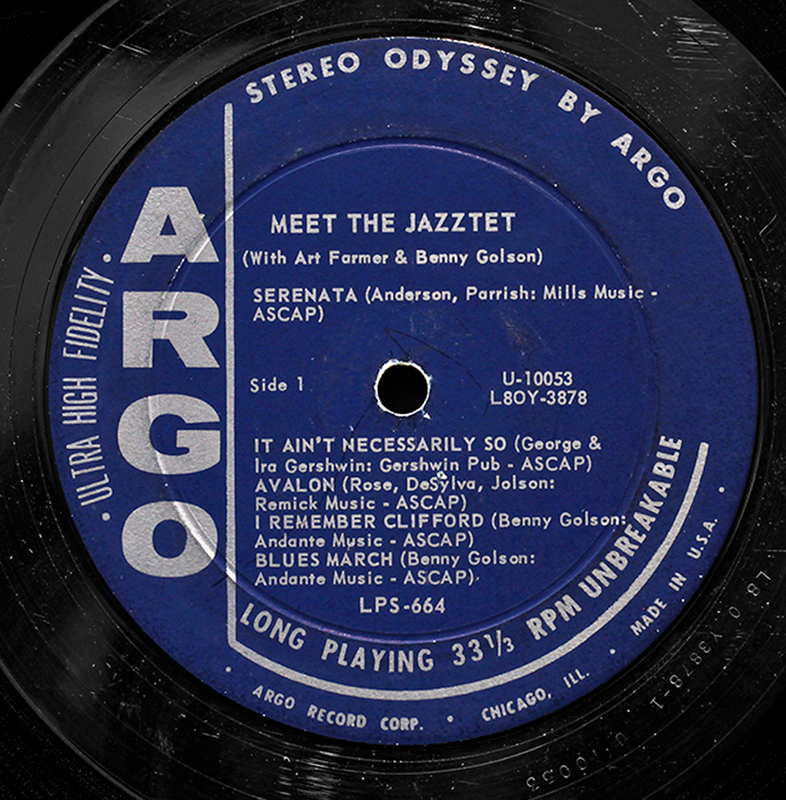 My understanding (incomplete) is that this was the only Metrojazz LP reissued by Verve. Accordingly, because the Verve pressing is much more common, most people assume Rollins recorded it for Verve, which he did not. Anyway, your copy is a nice one, congrats! Actually I have the Verve copy and it sounds great. I’ll leave the archeologists to argue about the first press. I have some MGM records and generally I have never been impressed by the record divisions of big film companies (Columbia excepted – brilliant Fred Plaut) The culture of film companies seems to me to focus on the big name artist in the limelight, and not sufficiently on the backroom technical skills. Am I wrong? Thanks Joe and yeah i thought it was a pretty cool find for a nice price. I dont know if the sellers knew what they had based on what I paid. 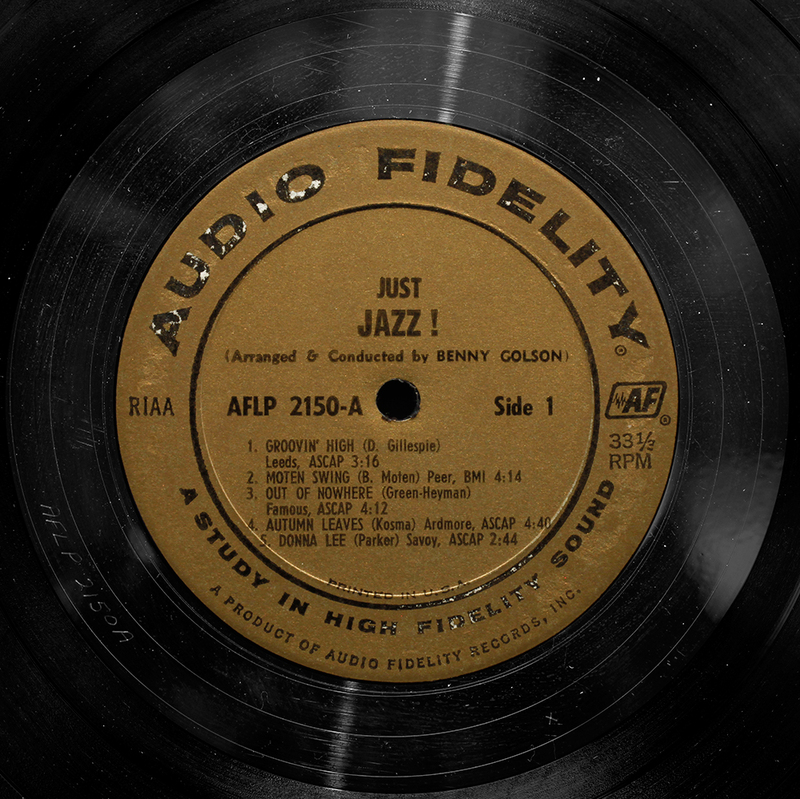 At any rate, after a nice cleaning I threw it on for a listen and was actually pretty impressed with the sound….LJC may be correct that film companies may not have the best sounding recordings but I was pleasantly surprised by the sound quality of this Sonny LP. Thanks for the info! No Nessa here? – I have some but my label shots may not be up to much – my digital camera has gone awol and I only have an iPhone 4 to take pics at moment. 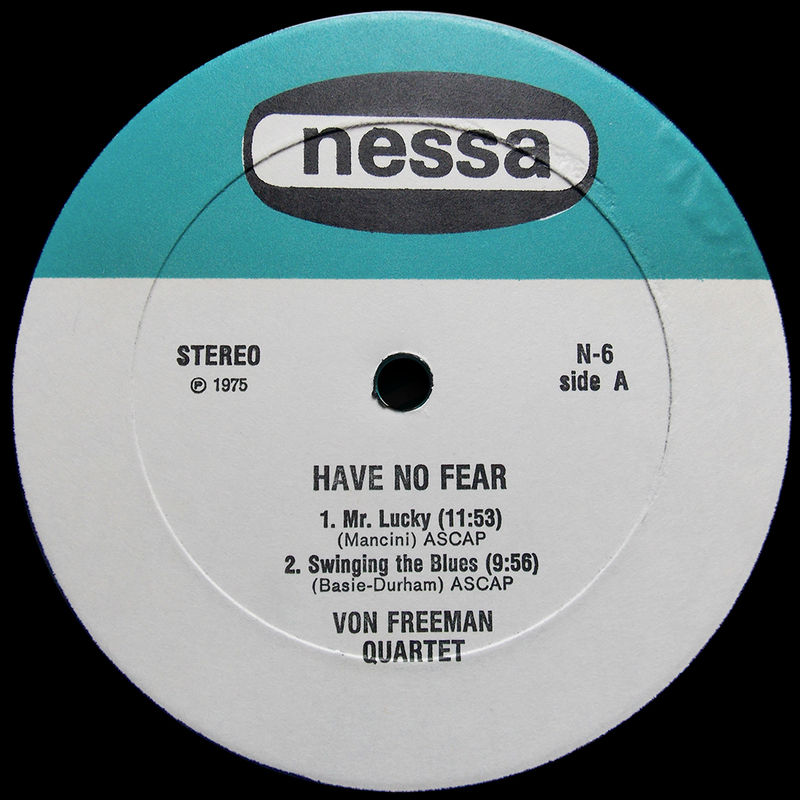 A particular favourite is Von Freeman’s Have No Fear a relatively straight ahead bop session with outside elements. 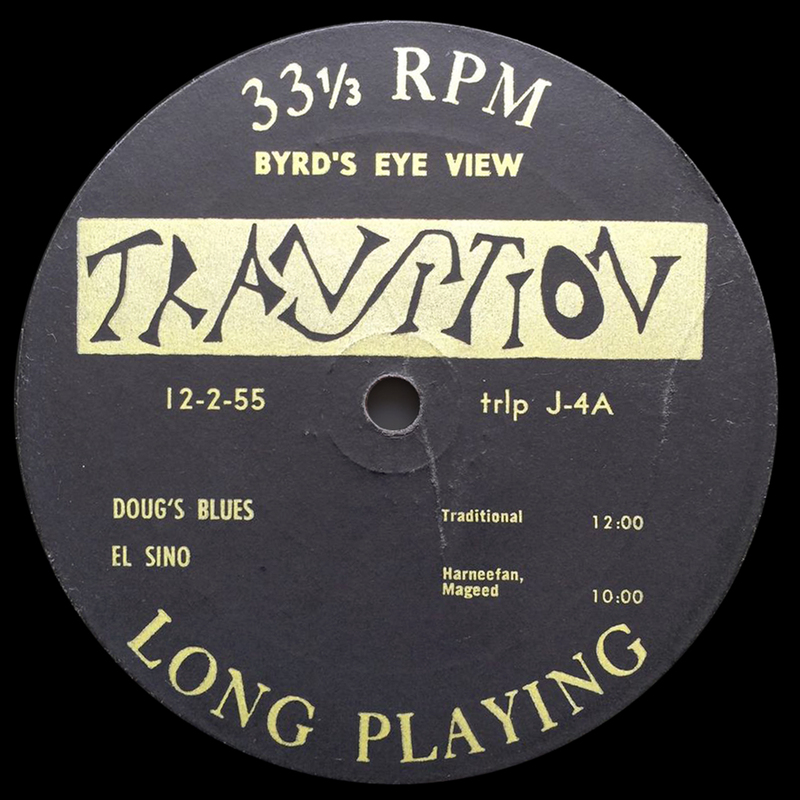 Recording and pressing quality excellent – mine are on the blue and white label which were pressed, I believe, at the Wakefield pressing plant. As soon as I find the camera I’ll send a shot over.